As a result of cutting lots of 2 1/2" strips, I've accumulated lots of "strings" along the way. You know -- those narrow little pieces that you can't bring yourself to throw away if you had to. As if I didn't have enough projects to work on, I've been playing with these little blocks. I keep a stack of cut pieces beside my sewing machine to use as "thread savers." Instead of cutting my thread at the end of chain-piecing, I feed something through the machine and cut off my chain, leaving the "thread saver" in the machine. And since I have a short attention span, it also keeps me from getting bored! If you'd like to make your own string blocks, go grab your strings and leftover strips and Jelly Rolls, and come back here! Back yet? Great! Now take a look at your great big pile of strings and scraps. (Let's not pretend I'm the only one.) 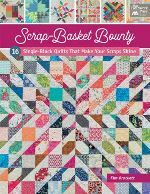 Depending on the size of your pile of scraps, you can probably find at least two or three different "themes." Sort your scraps into smaller piles of fabrics you think might look good together. I showed a few ideas in a previous post. Click here, then scroll down to the bottom pictures. 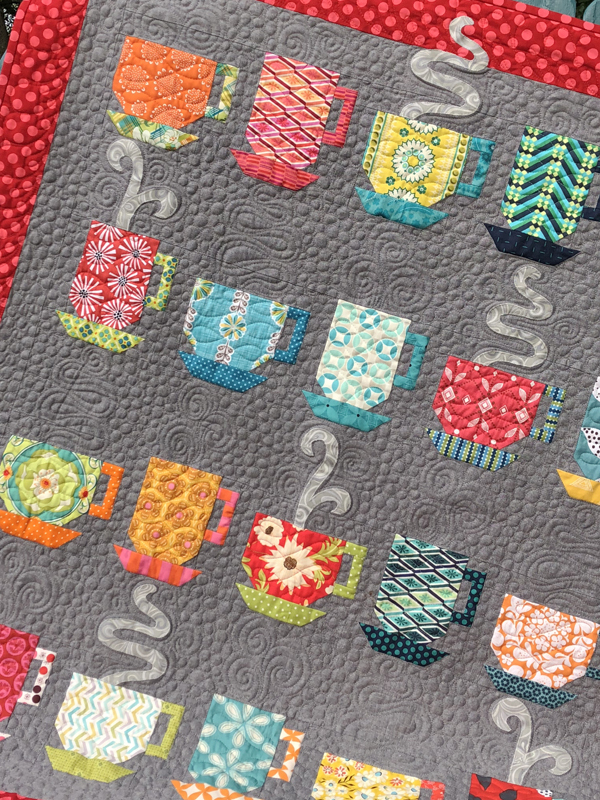 Once you've sorted your fabrics, separate the "strings" from the "chunks." The chunks are larger pieces that can be used for squares. Press the chunks and strings to remove the wrinkles. Decide what size you want your blocks to be. Mine are 6 1/2" unfinished. When they're sewn together, they'll be 6 inches. If you prefer, you could make your blocks larger or smaller. Using your "chunks," cut a few squares in different sizes -- any size you like. For my blocks, I cut them anywhere from 1 1/2 inches to 4 inches. You can even cut them in 1/8-inch increments. Select a "string" you'd like to use for your first row. I don't use strings that are less than 3/4" wide at any point. This ensures that I have enough width for at least 1/2" that will be used by the seam allowances, leaving me with 1/4" for the strip that actually shows in the block. Place your string on top of the square. Using scissors or a rotary cutter, slice a piece of the string a little longer than the square. Then place the string on the right side of the square and cut another piece as long as the square and the first cut string. Sew the shortest cut "string" to the top of the square, sewing the side with the straightest edge to the square. If your string is a little wonky, make sure you can see the edge of your square underneath, and use your square to guide along your 1/4 " seam mark on your throat plate. The seam allowance of the string isn't as important as the seam allowance of the piece that you're sewing it to. You'll want an accurate 1/4" seam on the foundation since it already has an accurate 90-degree angle. Press the seam allowances toward the string that you just added to the square. Place the second string on the right side of the block. Don't worry about trimming the end of the first string. You can snip it off with scissors after the second string is sewn to the square. Place the second string along the edge of the square as shown. Use your 1/4" foot to get an accurate seam allowance. Now it's time to trim to make it square again before adding more strings. Using a square ruler, find a marking on the ruler to place along the seam line (see red arrows). It doesn't matter which markings you use. Eighth-inch markings are just as good, as is placing the seam between eighth-inch markings. You'll just want to make sure that you trim the same distance from the markings on the top and right-hand side of the block. Make sure your fabric extends a little beyond the edge of the ruler, and make sure that you trim the same distance from the seam. In the photo below, I used the 1-inch mark. In the next photo, I've placed the seam between eighth-inch marks so that less fabric will be trimmed from the block. Notice that I've used the corrner of the ruler where the lines follow the lines of my block. It's easier for me to square it up using the lines as a guide. Trim away the excess fabric from the top and right-hand side of the block. You'll have a good 90-degree angle again and you'll be ready to add more strips the same way you added these. Don't worry about trimming the other sides of the block. We'll trim them later. Add anther row of strings the same way you added the first row. Make sure that your cut pieces are long eneough to extend at least evenly with the square, preferably a little longer. Trim after adding each row. Continue to add strings until your block measures a little larger than the size you need. Now it's time to trim the block one last time. Since I have a 6 1/2" ruler, I use that to trim my block all at once. That way, I can move the ruler around to see what the block will look like. Sometimes I may want the outside rows to be skinnier and my square bigger. Sometimes I like to use almost all of the outside rows and make my square smaller. Place the ruler on top of the square. Line up one or more of your seam lines with the lines on your ruler. Trim around the ruler on all sides. You now have a perfect square! This project goes a lot faster when you work on several blocks at once. I like to sew all the blocks, iron them, then trim all of them at once. If you make any of these blocks, send me a picture if you'd like. I'd love to share them here. I saw your previous post and was hoping to learn how to make these blocks. I have tons of scraps so thanks a bunch for posting this! Woohoo - the promised tutorial. Yeehawwwww! This looks like so much fun - can't wait to play soon. 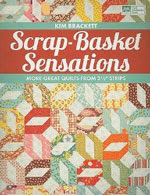 I can't wait to start making some of these to try to decrease my scrap stash. Thank you so much for sharing this. Now I just need a couple of more hours in my day. I would love to see your finished top or some of the pieces sewn together! Thanks for the tutorial~! Great tutorial. Thank you for posting it! I hope to get going sorting and cutting some scraps. Can't wait to see these blocks all put together. Thanks so much for all of these tips and ideas! Just wondering if you sort your strings by color...or if you just store them all together?! A tutorial...great! Now your expecting us to whip em up right?! Hee!! Looks like a great way to use up some strips! Beautiful blocks! Great tutorial. I think I need to make these. Great tutorial! Thanks for the inspiration to use up all those strings. Great tutorial. 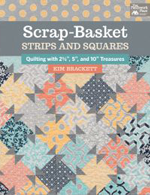 I'm always looking for ways to use up those scraps. Your fabrics are beautiful. But where's the top? I kept looking, thinking I'd missed it somehow-- what do you do with all these cute blocks? Love those blocks!! Thanks for the tutorial, these are on my list to make next! Great instructions; thanks! I've never thought of using strings to make half log cabins. Think I'll give it a try! This is a great tutorial and very useful for everyone!! Thanks Kim. Awesome tutorial. Another great way to use scraps. Wonderful colours you use. I really like them. Thanks for the tutorial. Great cute blocks Magnolia bay! Thanks for the tutorial. I started making some of these blocks today while snowed in (Yeah! for snow). I will post some pictures of them on my blog soon. I will have lots of fun with these blocks! Hi Kim, I just purchased your book from amazon.com and just have to say that I LOVE your book. 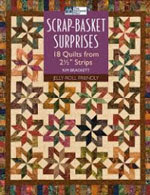 Never have I ever gone though a book to realise that I would make nearly every quilt in it. Thanks so much. Oh, and I've just realised that you have a blog so now I'll explore that too. Happy scrapping! Excellent tutorial. 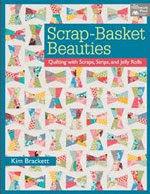 What a great and fun way to use your scraps. Thank you for sharing. That is a such a great idea! I have to try that! Love this! Great way to use scraps. I also want to see how you set these blocks together...I know there is a million different ways to do it, but I want to see your version! I am inspired! Thank you so much for the wonderful tutorial, and also the storage information...I'm ready to start stripping and organizing! Thanks so much for sharing--very nice tutorial. I'd like to try some of these too. Thanks Kim for sharing. I love to make string quilts and would like to try your tutorial. All the blocks are so pretty. Thank you. I have seen so many finished quilts using these kinds of blocks and now I have a better idea of how they are put together. Love this and can't wait to try it ! Great tutorial. . .. thanks so much for sharing ! 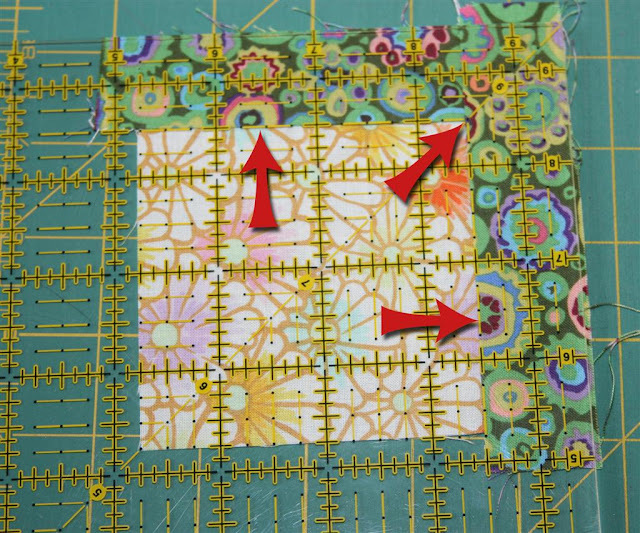 I'd LOVE to link to your string block tutorial on my blog, may I ? I know this was from four years ago, but I just saw it last week. Thank you for so much inspiration. I am recently retired and now have the time and energy to quilt again. This reminds me of just now much fun all that colour is. Just stumbled upon this tutorial. Awesome! Thanks for sharing. These are the cutest - my kind of quilt block - hope I can squeeze in some time to play with this technique. Your timing is perfect for me. I just spent 13 hours going through and organizing all of my scraps by color or holiday. Now thanks to you I have a great way to use them. I love this tutorial. And the quilt is beautiful. I am new to quilting and I think I will give it try when I am in Fl for the winter. thank you for sharing ! I have been organizing my fabrics and scraps the past few days and am very excited to see your tutorial. I'll be getting into mine very shortly Thanks for more inspiration. I don't arrange anything - I grab blindly from the bag and sew onto a 4.5" strip kind of like making jelly roll strips....One day they'll be sewn together in a truly scrappy quilt. Help! I've made 23+ blocks after your pattern. need Ideas on how to put them together to make a quilt. Please post a pic of your finished quilt with these string blocks. My daughter and friend say they're too busy!